The other group he helps lead is the Marketing Club, which is managed by 10 MBAs and shares a similar mission but hosts fewer students, with about 40 active members. The Marketing Club helps with recruiting processes, resume reviews, and company deep-dives — all related to careers in marketing. The group also gives students opportunities to meet today's leaders and learn about real-world challenges. "Our first goal is to support the career development needs of students," says Juan. "We'll invite guest speakers like CMOs to tell us what they've learned about social media or digital advertising." JUAN AND HIS FELLOW CLUB LEADERS WORK HARD TO KEEP THINGS ORGANIZED OUTSIDE THE CLASSROOM. Running two clubs requires a lot of work, but Juan and the rest of his fellow club leaders have it down to a system with CampusGroups. To get started, the team attracts students to both groups through the Club Fair. "Every second or third week of school, we hold a fair where all of the clubs set up booths in the main courtyard at Yale," says Juan. Club leaders speak with students, and they keep a computer nearby so they can add new members on the spot. "We have a laptop set up with CampusGroups on it," he says. "People are less likely to sign up later, so we have them register right then and there." Throughout the course of the school year, Juan says he uses CampusGroups in four main ways. The first is as a central hub for events. "It's our primary event management system," says Juan. "Anything that has to do with setting up an event or managing our logistics, CampusGroups is our one-stop shop." Although both clubs use other social media channels to promote upcoming events, Juan encourages both groups to drive all online traffic to the CampusGroups event page. "We make sure that's the one system of record," he says. Juan's second strategy is to dig into his group's analytics to track growth and promotions. "We create an event, do some publicity, and see how registrations are increasing," he explains. The data helps inform the team's decisions about where to dedicate the group's resources and how to plan for the future. "Usually, about a week before the event, we try to see if we're trending high enough or if we need to invest more in advertising," says Juan. "That drives a lot of our funding and availability of other events." Third, Juan uses CampusGroups to send weekly newsletters as well as quick one-off communications. Since he serves so many different kinds of students across the two groups, he's found the tagging and targeting features especially useful when it comes to serving useful content to specific segments of members. "If we need to send one communication to one group, we can send a communication just to second years or just to first years," says Juan. "We appreciate the targeting options." Last, both the Technology Club and the Marketing Club rely on CampusGroups as a repository for important group documents. "We use it to host our slide decks and notes in a couple different locations," says Juan. "This year we started putting everything on CampusGroups. We even upload our meeting notes so everyone knows what's going on." With everything on his plate, Juan remains focused on the larger importance of student organizations and how they fit into the MBA program as a whole. "Our clubs are there to enrich the student experience," says Juan. 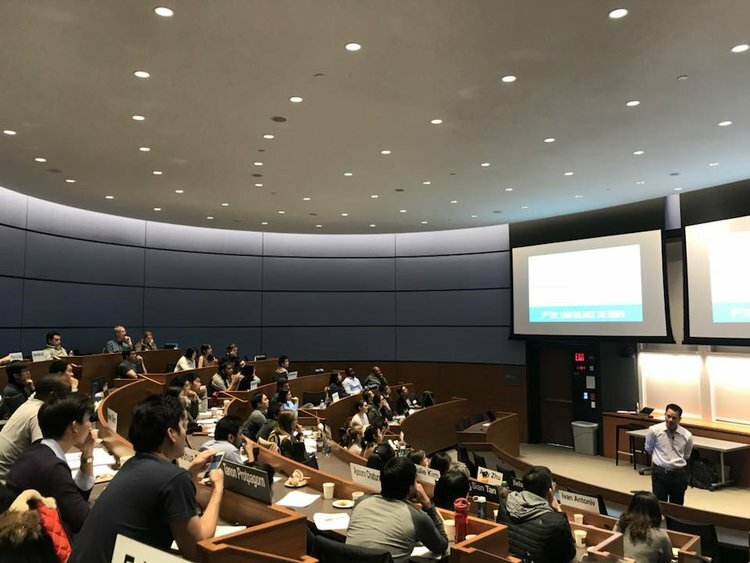 "When people graduate from Yale, I'd love them to say that their time in the Marketing and Technology clubs was something that made their experience great." Connect with Juan on LinkedIn, and learn more about the Technology Club and the Marketing Club on their websites.